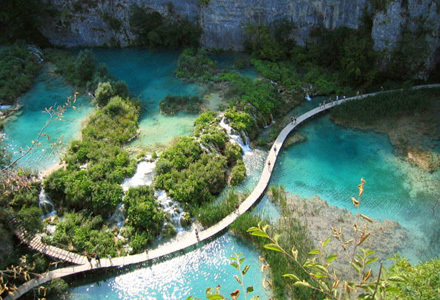 The main protected areas of Croatia are national parks, nature parks and strict reserves. There are 444 protected areas of Croatia, encompassing 9% of the country. Those include 8 national parks in Croatia, 2 strict reserves and 11 nature parks. 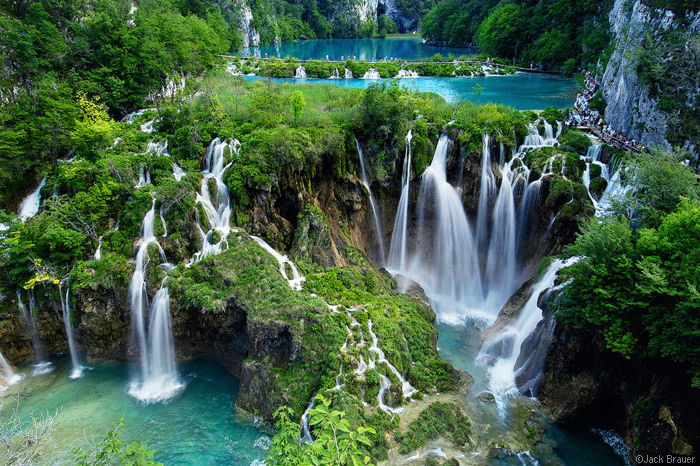 The most famous protected area and the oldest national park in Croatia is the Plitvice Lakes National Park, a UNESCO World Heritage Site. Velebit Nature Park is a part of the UNESCO Man and the Biosphere Programme. The strict and special reserves, as well as the national and nature parks, are managed and protected by the central government, while other protected areas are managed by counties. In 2005, the National Ecological Network was set up, as the first step in preparation of the EU accession and joining of the Natura 2000 network. The total area of all national parks in the country is 994 km2 (384 sq mi), of which 235 km2 is sea surface. Each of the national parks is maintained by a separate institution, overseen and funded by the government ministry of nature conservation and spatial development. The State Institute for Nature Protection provides centralized oversight and expertise. All eight national parks are located in karst area. Nature parks is also worth seeing (11) : Park prirode Biokovo, Park prirode Kopački rit, Park prirode Lonjsko polje, Park prirode Medvednica, Park prirode Papuk, Park prirode Telašćica, Park prirode Velebit, Park prirode Vransko jezero, Park prirode Učka, Park prirode Žumberak – Samoborsko gorje and Park prirode Lastovsko otočje. Strict reserves: Bijele and Samarske stijene and Hajdučki and Rožanski kukovi. If you come to visit Croatia at least one national park.